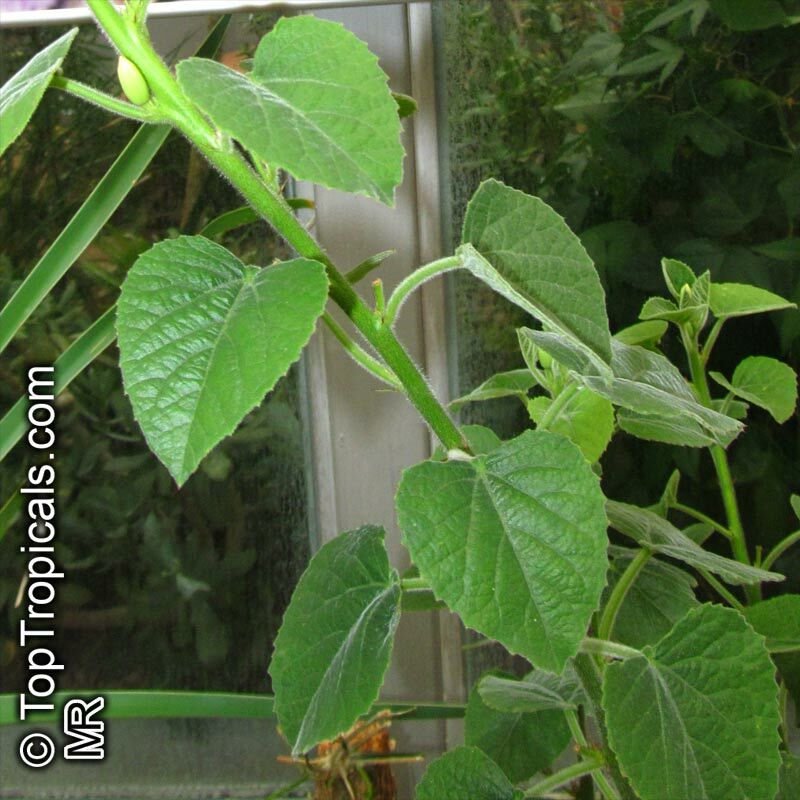 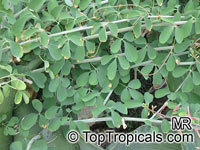 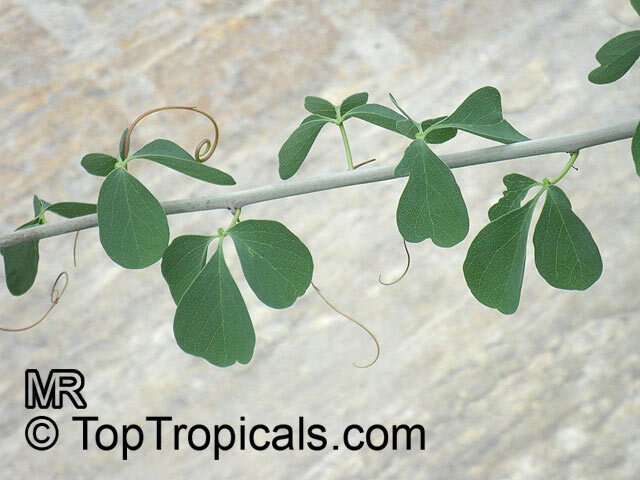 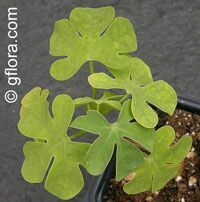 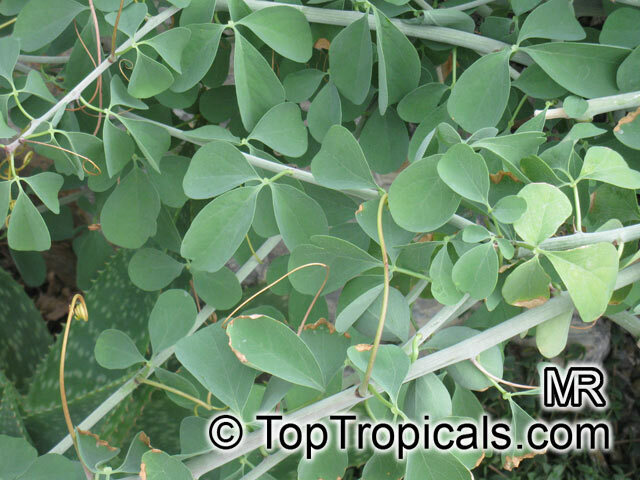 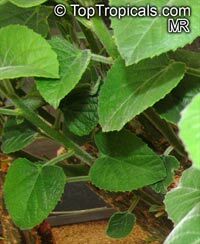 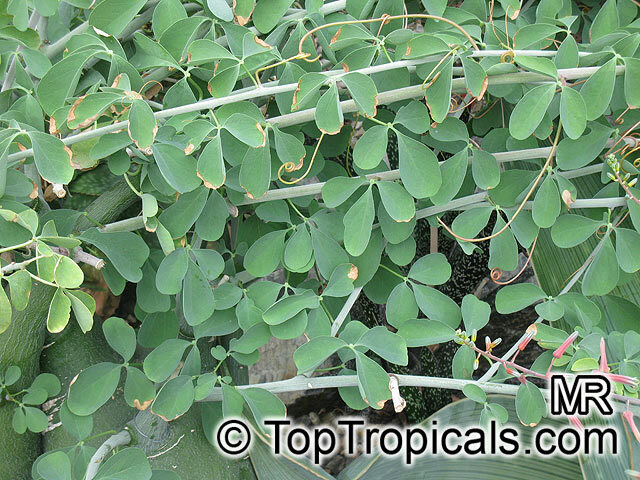 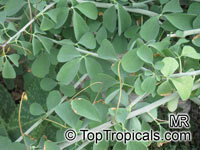 The flowers are green, and beside seeds, it might be possible be cuttings as well. 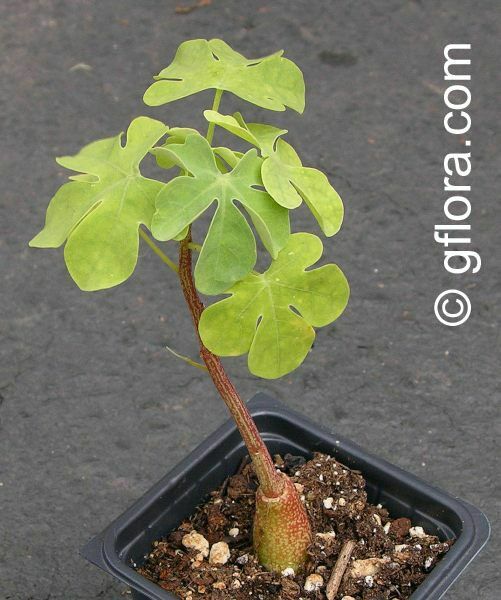 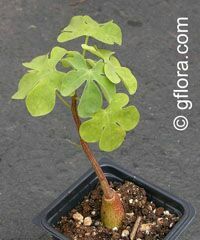 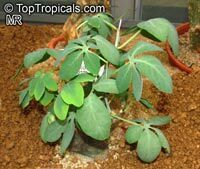 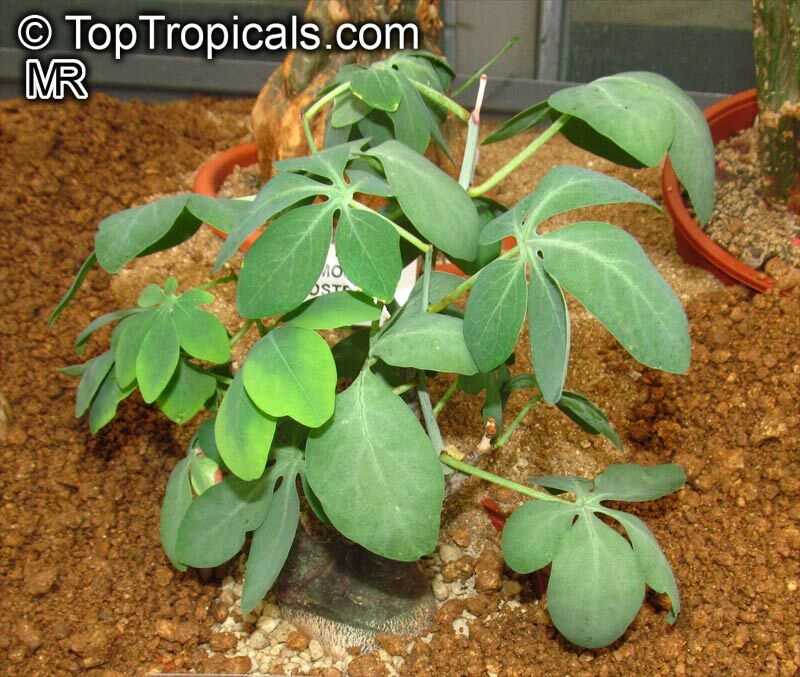 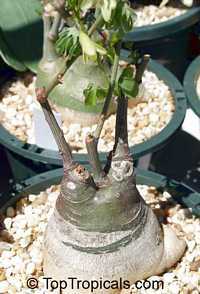 It is growing in a well drained soil with some water and some sun. 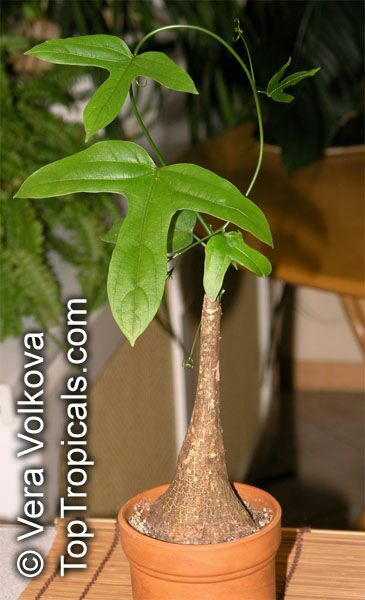 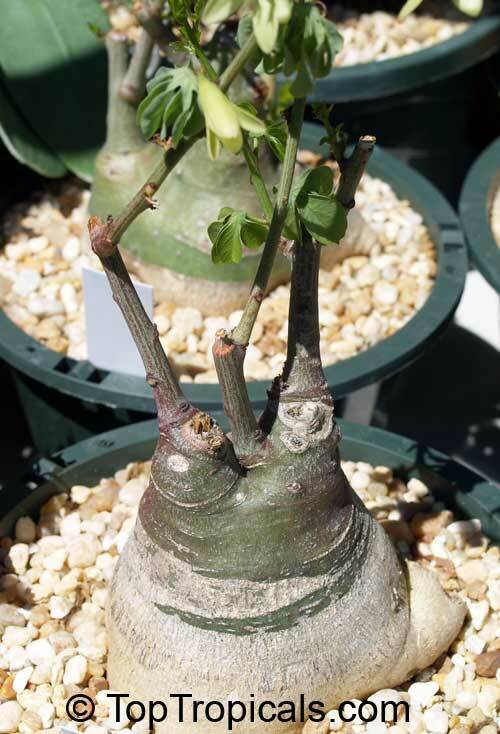 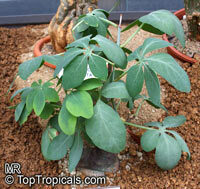 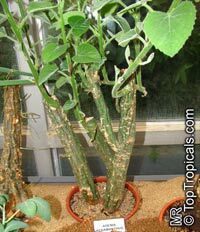 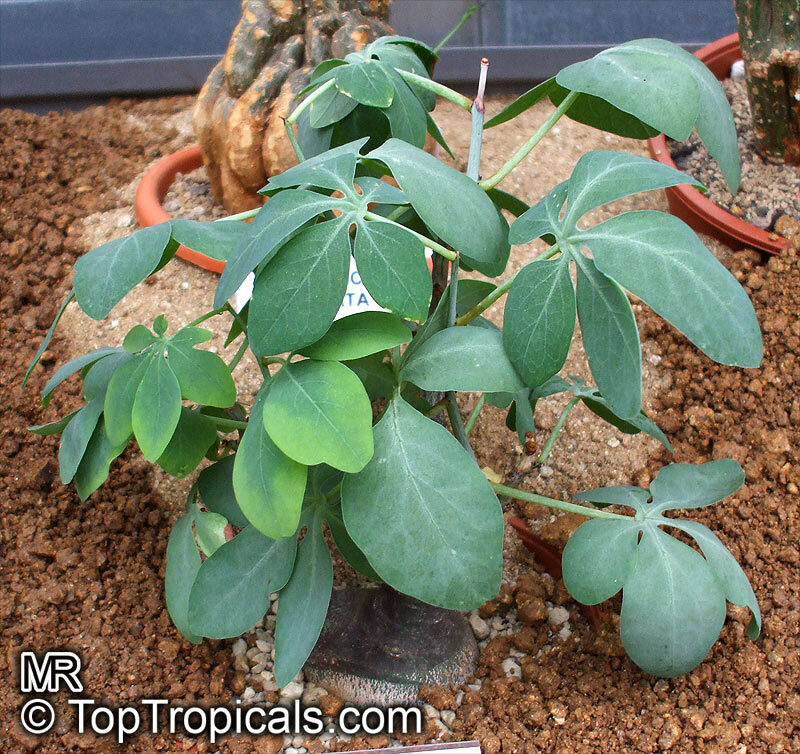 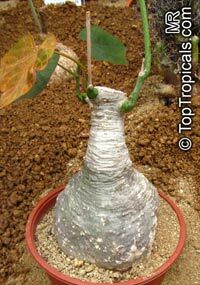 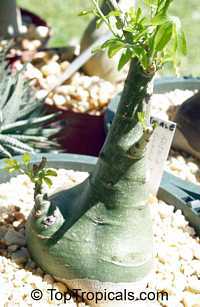 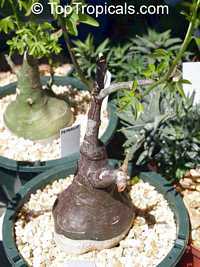 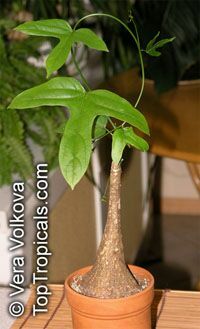 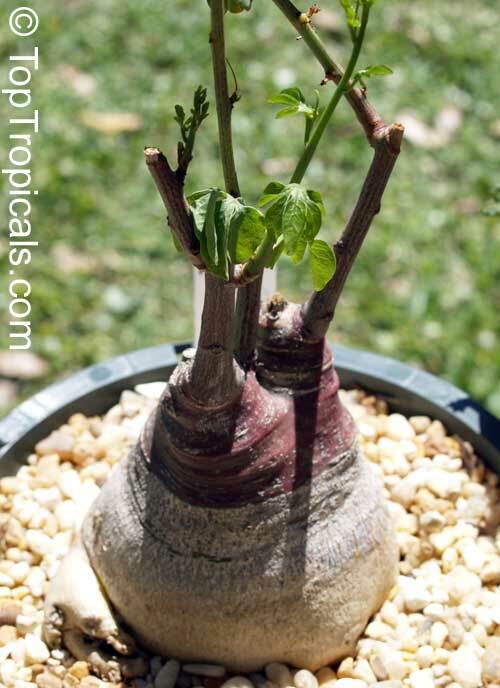 The caudex can grow to 25 or even 30 centimetres in diameter. 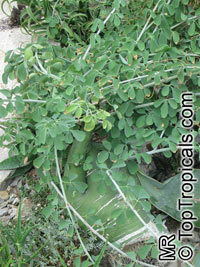 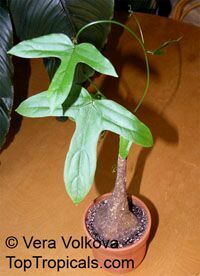 The vine-like branched can reach one meter or more. 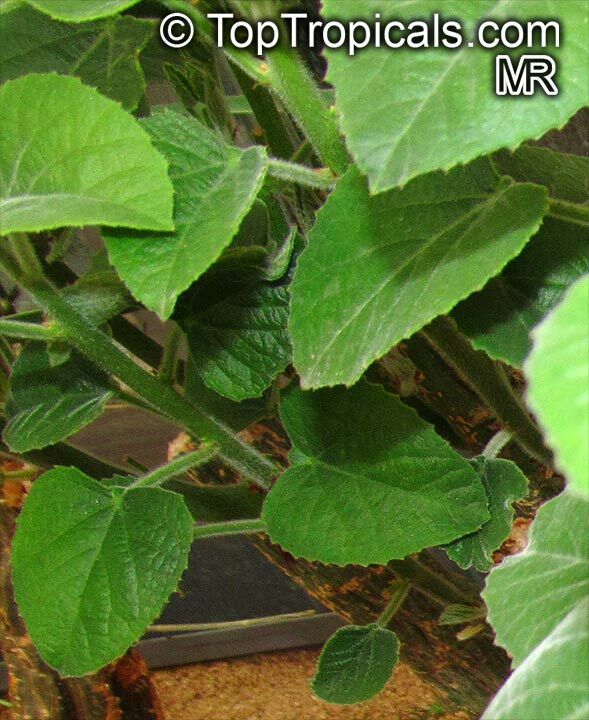 The small flowers are greenish white.